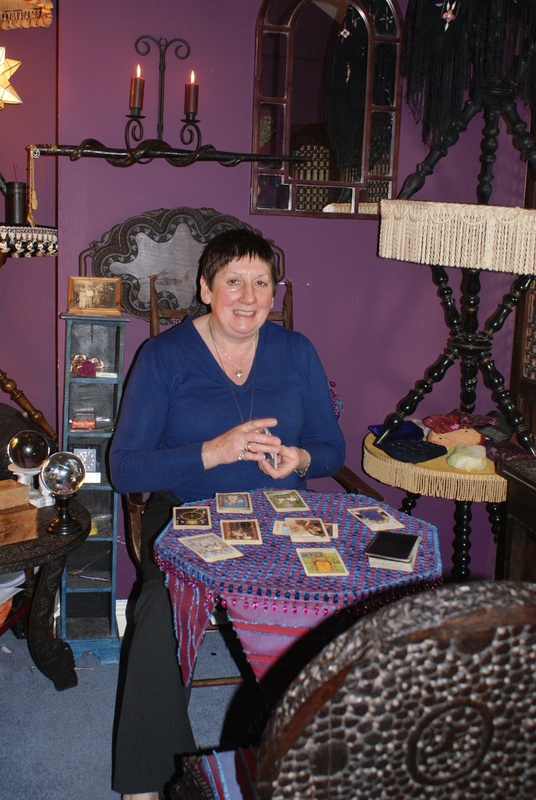 Sue regularly travels countrywide to read for events and psychic nights at pubs, clubs , and hotels. She will bring her gypsy table, and be able to read cards or palms, as required. Please contact through the contact me button at the side of the website, with an idea of when and where, for a quote on price. Sue has great pleasure in attending events, both corporate, and personal, on mingle and read basis, with palm readings on anything from a swift one minute reading to a more in depth 5 minute reading as she mingles with your g uests, and allows a buzz of gentle happy chatter to develop a good evening into something above the norm, remenbered for a long time as being part of something special. For this she requires no special equipment or situation, just peoples hands and their willingness to be read. After mingling, she will leave quietly , once the alloted time is met. Prices depend on time, amount of guests expected to be read, and distance.